KLARK TEKNIK DN9650 AES-50 Bridge in stock! A happy new year to everyone! This is a nice piece of kit for the techy types. A 1u box that allows us 64 bi-directional channels between midas AES-50 and a host of other networking standards. This allows us to record 64 channels direct from our midas consoles for later mixdown or virtual sound-checks as well as allowing us to link into other manufacturers’ audio networks. Very handy! 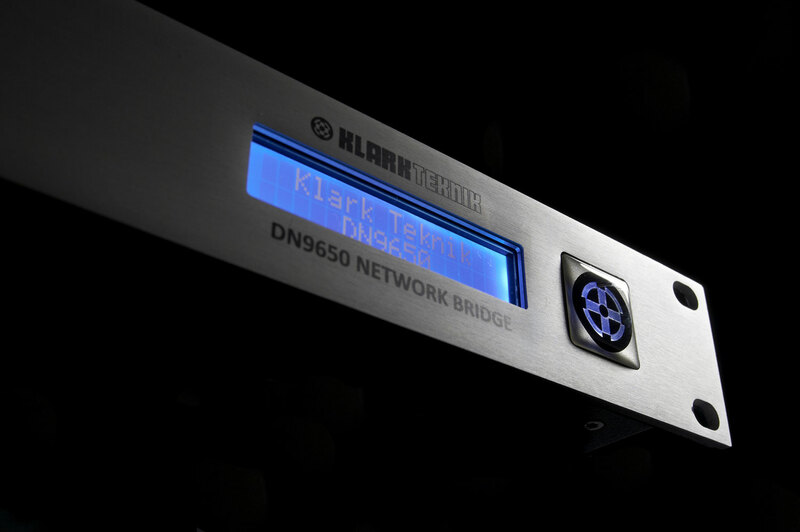 Posted in Uncategorized | Comments Off on KLARK TEKNIK DN9650 AES-50 Bridge in stock!